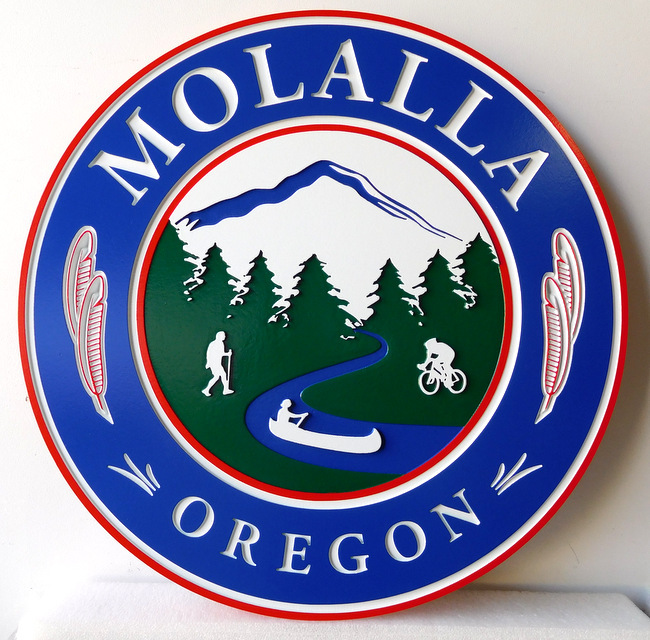 This attractive and stylized engraved/recessed HDU wall plaque of the seal/logo for Mollalla, Oregon sign has mountains, trees , a lake and canoe carved and recessed into the background The text is also engraved. . After hand-painting, the sign is clear-coated twice for additional UV and weather protection. This plaque can be mounted on a wall.